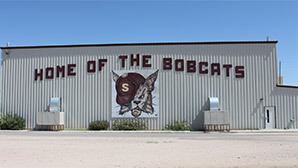 Salome Consolidated Elementary School District is located in Salome, Arizona, about 60 miles west of Wickenburg and 100 miles northwest of Phoenix. Our rural community provides ample support for our school, while our educational system offers all-day kindergarten, state-of-the-art technology, and highly qualified faculty. We know you’ll love it here at Salome, so stick around and find out more about our school district. We look forward to meeting you! As a school district that values excellence in education, we are continually working to improve our educational system. We attribute the success of our school to our talented faculty and staff, dedicated parental involvement, and our supportive community. Thank you for your contribution to student success. On behalf of the faculty and staff at Salome, thank you for the opportunity to work with your child. Please stay in touch throughout the year. Please note the governing board meeting scheduled for Tuesday, April 9 will now be on Tuesday, April 23, 2018, at 6:00 p.m.
We post Governing Board public notices at the U.S. Post Office, district office, and here on our Governing Board page.